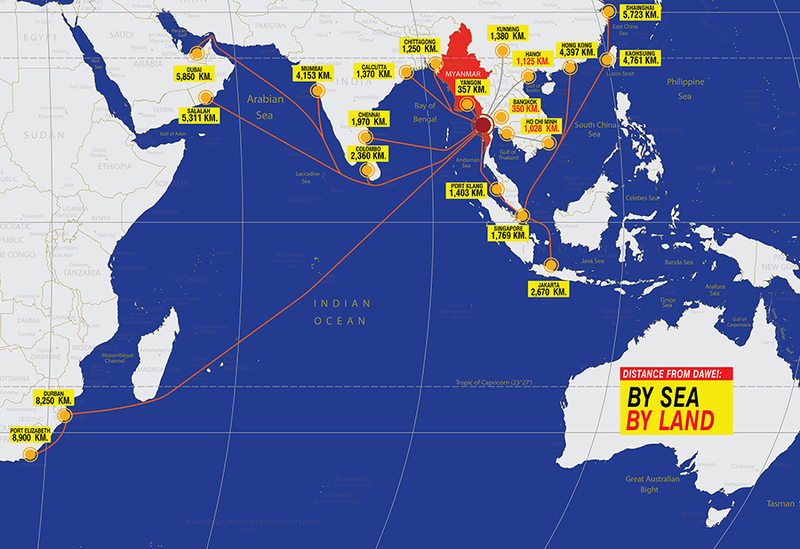 Efficiently connects with Port of Chennai, Colombo and Singapore. Most suitable site situated on the continental shelf connected to Indian Ocean (Andaman Sea) which is safe from cyclone and other severe natural disasters. Dawei IE Port to facilitate AEC cross-border and international logistics. To enjoy the new granted GSP/EBA and trade agreements made by ASEAN and partner countries. Plenty of rice and food grains.